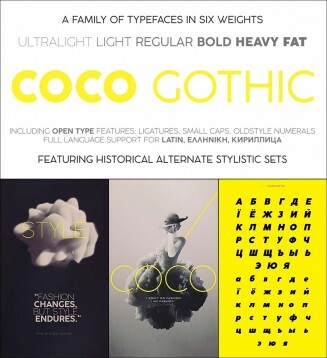 A family of Coco gothic typefaces in six weights including OpenType features : ligatures, small caps, oldstyle numerals. Full language support for Latin and Cyrillic typefaces. Tags: coco, cyrillic, font, Gothic, latin, modern, roman, typeface, typography.